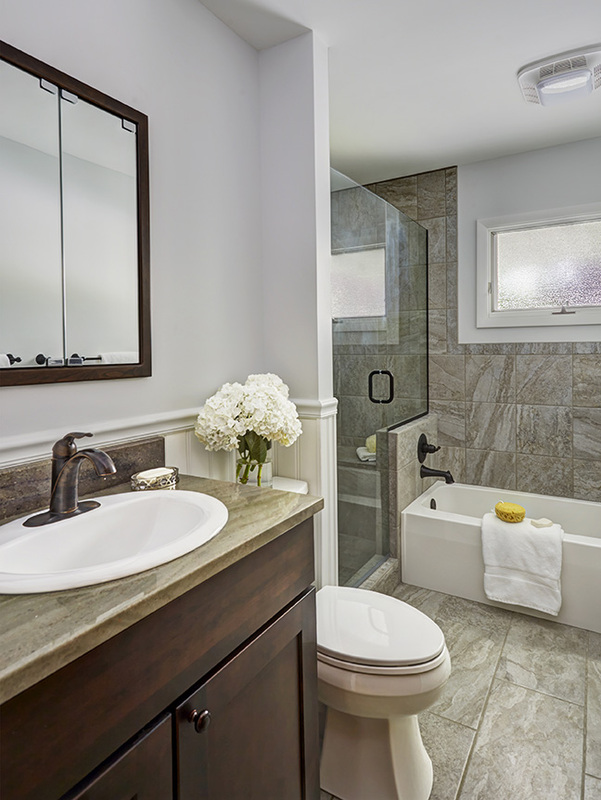 With this bathroom being the only one in the home the customers wanted to take extra care in renovating the bathroom to maximize resale value. 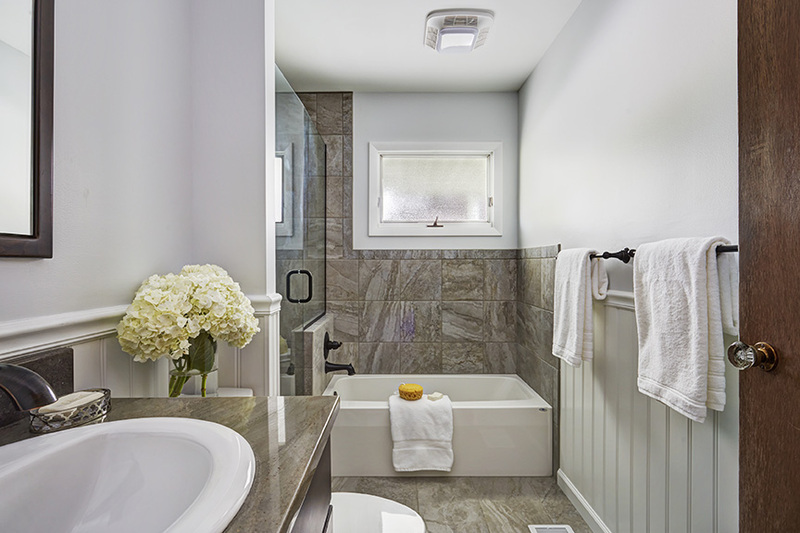 They wanted to make sure the home had a bathtub for this very reason and we were able to purchase a compact bathtub (54 inches wide) to achieve this goal as well as bathe the grandchildren while they visited. 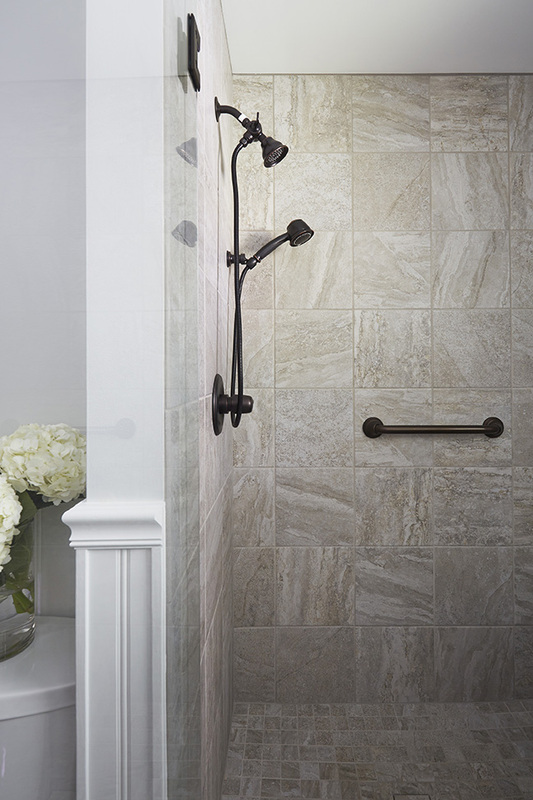 The walk-in shower is one of the show pieces of this space with a camouflaged tiled over drain, separate hand shower spray in an oil rubbed bronze finish, a bench, and storage niches all while being handicap accessible. 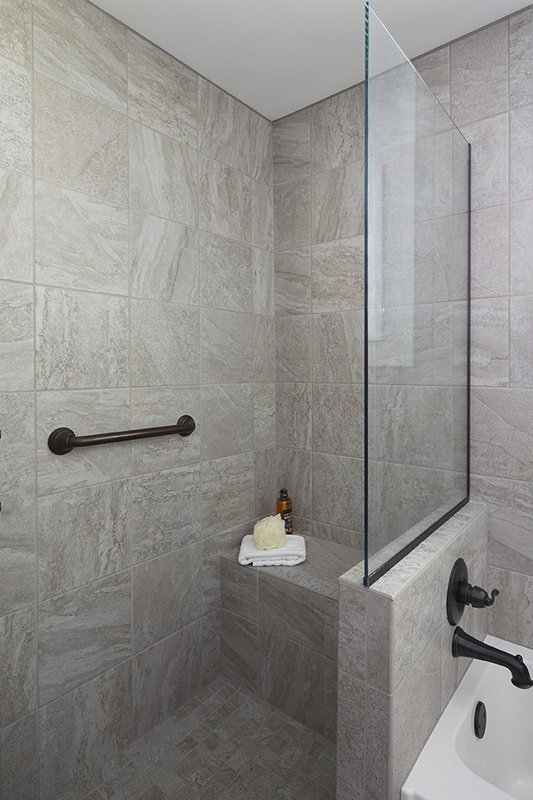 To allow light to enter the shower and aid the in the shower not feeling claustrophobic we installed a knee wall between the shower and the bathtub that was tiled on the bottom and has a panel of glass on top. 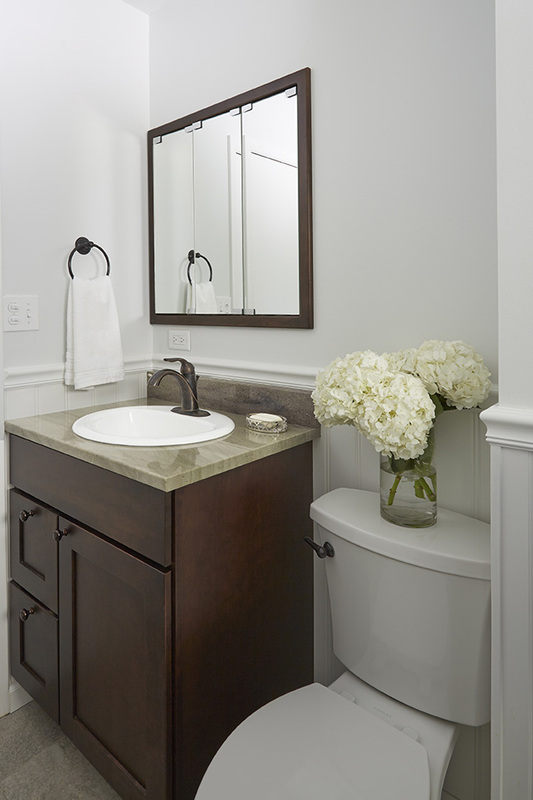 The countertop is a Vangura Redi-Made granite countertop with under-mount sink.